REUNION FOR three former NASites occurred in Pearl Harbor recently when (l to r) Greg Gregores S1c, Jimmy Chakos SC1c and Jackie Souders AM2c celebrated the event at the Royal Hawaiian Hotel. 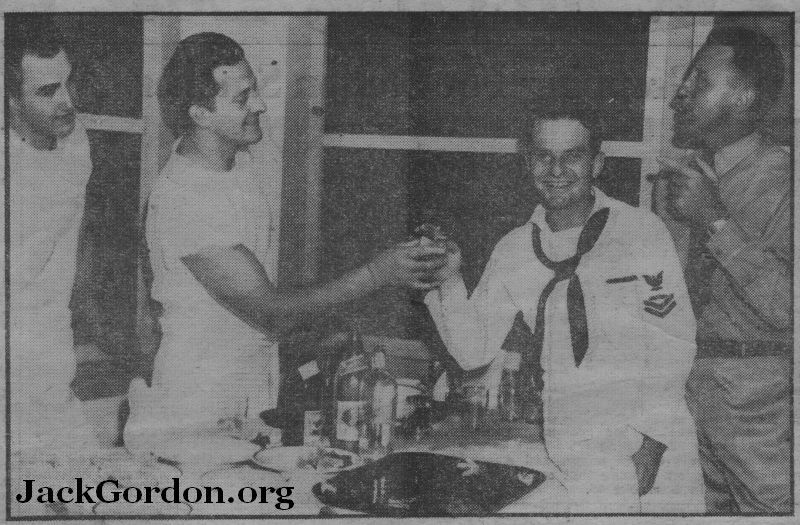 They are pictured toasting the event with an unidentified officer. All served here during 1943 and early 1944. Souders is the former Pacific Coast Band Leader and is leader of an orchestra at Pearl now.